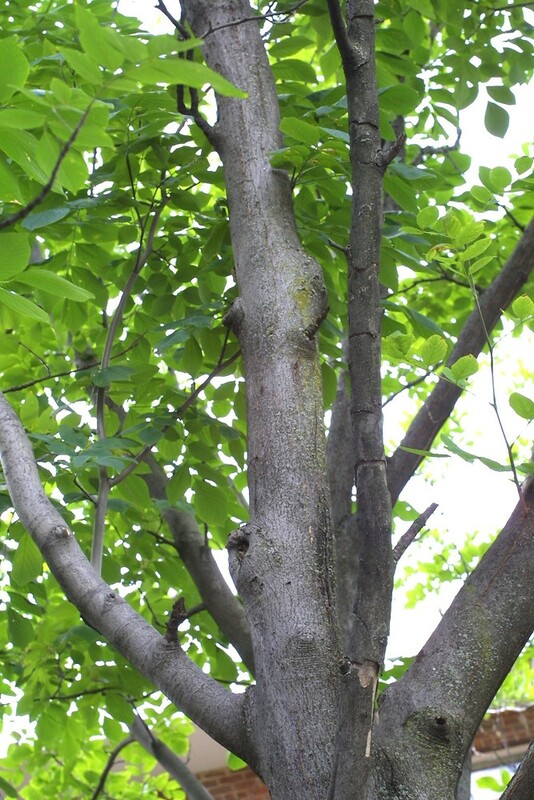 Cladrastis kentukea tree. By Steven Baskauf. Copyright © 2018 CC-BY-NC-SA. Bioimages – www.cas.vanderbilt.edu (Accessed 1/2018). Cladrastis kentukea is a tree to 15 m tall, often multi-stemmed, bark smooth, gray, shallowly grooved (Petrides 1988). Cladrastis kentukea leaf. by Paul Wray, Iowa State University, Bugwood.org. licensed under a Creative Commons Attribution-Noncommercial 3.0 License. forestryimages.org (Accessed 1/2018). 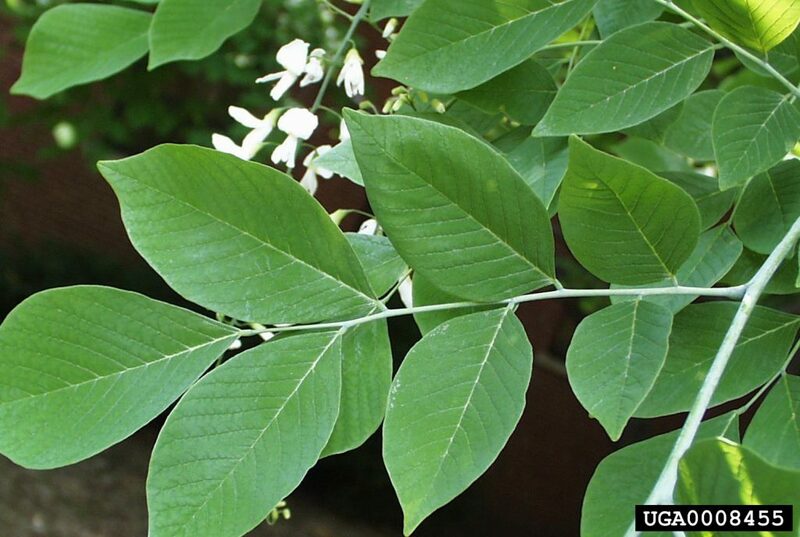 Leaves alternate, pinnately compound leaflets 6-9, alternate along midrib, broadly egg-shaped, to 13 cm long. Cladrastis kentukea flowers. By Steven Baskauf. Copyright © 2018 CC-BY-NC-SA. Bioimages. www.cas.vanderbilt.edu (Accessed 1/2018). 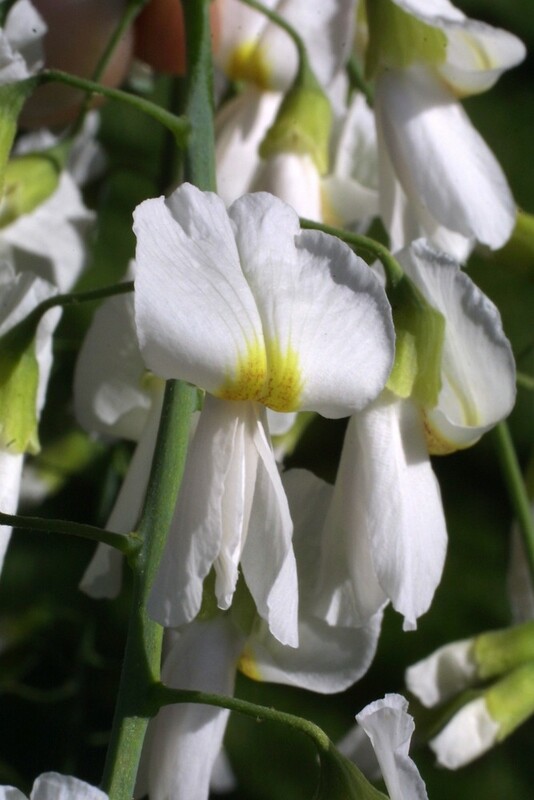 Flowers white, fragrant, irregular, in showy drooping clusters to 30 cm; blooms May-June. Fruit a narrow, dry, thin pod 7-10 cm long, with 3-6 seeds (Rehder 1990). Sept.-Oct. Origin: Native to the region around Kentucky. Habitat: Rarely escaping from cultivation but sometimes planted in natural areas.